PHILIP was one of the noble line of Saints raised up by God in the sixteenth century to console and bless His Church. After a childhood of angelic beauty the Holy Spirit drew him away from Florence, the place of his birth, showed him the world, that he might freely renounce it, led him to Rome, modelled him in mind and heart and will, and then, as by a second Pentecost, came down in visible form and filled his soul with light and peace and joy. He would have gone to India, but God reserved him for Rome. There he went on simply from day to day, drawing souls to Jesus, exercising them in mortification and charity, and binding them together by cheerful devotions; thus, unconsciously to himself, under the hands of Mary, as he said, the Oratory grew up, and all Rome was pervaded and transformed by its spirit. His life was a continuous miracle, his habitual state an ecstasy. He read the hearts of men, foretold their future, knew their eternal destiny. His touch gave health of body; his very look calmed souls in trouble and drove away temptations. He was pleasant, genial, and irresistibly winning; neither insult nor wrong could dim the brightness of his joy. Philip lived in an atmosphere of sunshine and gladness which brightened all who came near him. “When I met him in the street,” says one, “he would pat my cheek and say, ‘Well, how is Don Pellegrino?’ and leave me so full of joy that I could not tell which way I was going.” Others said that when he playfully pulled their hair or their ears, their hearts would bound with joy. Marcio Altieri felt such overflowing gladness in his presence that he said Philip’s room was a paradise on earth. Fabrizio de Massimi would go in sadness or perplexity and stand at Philip’s door; he said it was enough to see him, to be near him. And long after his death it was enough for many, when troubled, to go into his room to find their hearts lightened and gladdened. He inspired a boundless confidence and love, and was the common refuge and consoler of all. A gentle jest would convey his rebukes and veil his miracles. The highest honors sought him out, but he put them from him. He died in his eightieth year, in 1595, and bears the grand title of Apostle of Rome. Reflection.—Philip wished his children to serve God, like the first Christians, in gladness of heart. He said this was the true filial spirit; this expands the soul, giving it liberty and perfection in action, power over temptations, and fuller aid to perseverance. 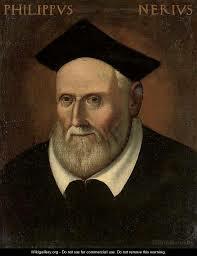 At Mass today our priest gave a short talk on St. Philip Neri. He told us that In addition to being the patron saint of comedians, he’s the patron saint of cats. As our priest told the story, he was called to live in priestly quarters, where he couldn’t keep his cat. He kept renting his apartment (two rooms) so the cat would have a place to live (and visited frequently). ….I’ve just done a Google search and find that the patron saint of cats is Saint Gertrude of Nivelles. 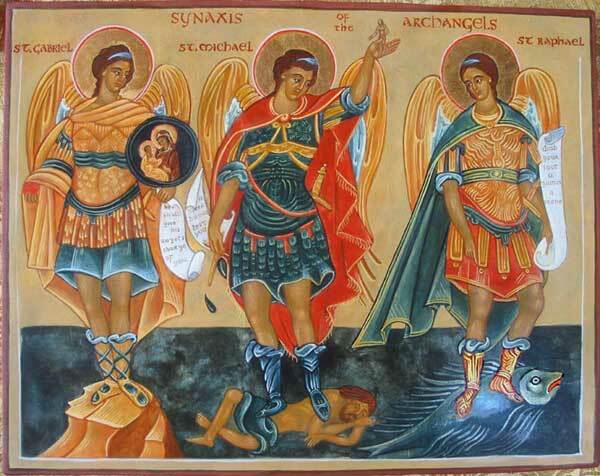 And the patron saint of comedians is St. Genesius. I’ll have to have a word with our priest. But St. Philip Neri is the patron saint of Joy.